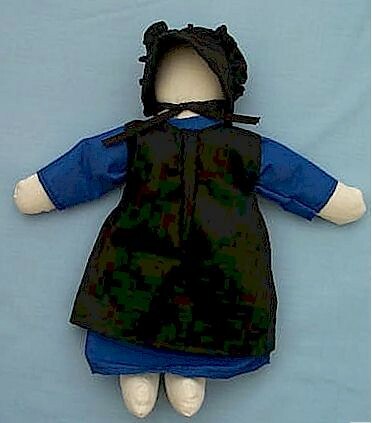 Our Amish dolls are handcrafted by Priscilla Stoltzfus, an Amish woman who lives in the area of south central Pennsylvania known as "Pennsylvania Dutch Country". Priscilla lives on a 67-acre dairy farm with her husband and six children. Each morning, Priscilla arises at 4:30 a.m. to help her husband milk their herd of forty cows. 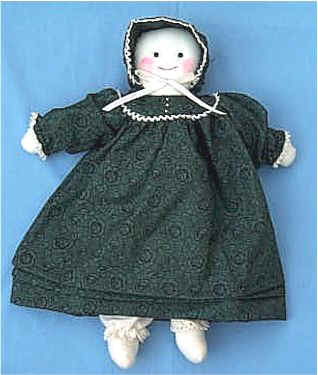 When time permits, she and her mother make dolls at Priscilla's home. 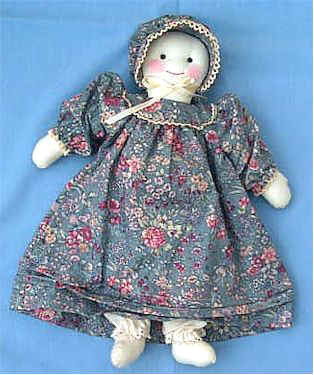 The dolls in Priscilla's Amish Country Doll Collection have faces and are heirloom quality. Size is 16". 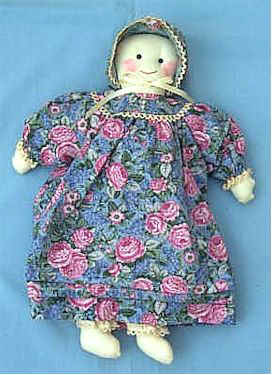 Each doll has removable bonnet, dress, and bloomers. Please allow at least a week for delivery. Priscilla embraces the Amish way of life, a simple life that bans the use of electricity, cars and indoor plumbing. 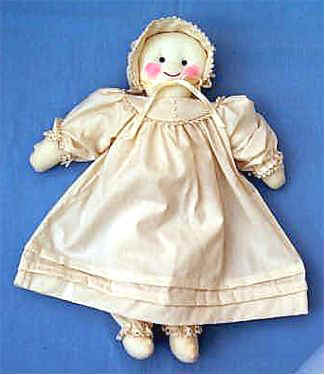 Many of her dolls have no faces in keeping with the traditional Amish belief regarding a "graven image" belonging only to God. The Amish shun the use of mirrors and the taking of photographs for the same reason. 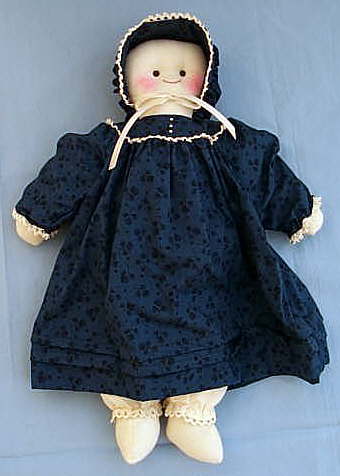 Priscilla Stoltzfus's dolls are a true symbol of Amish life in Pennsylvania Dutch Country. 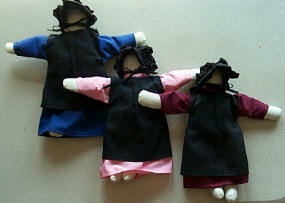 Each doll is 12" high. 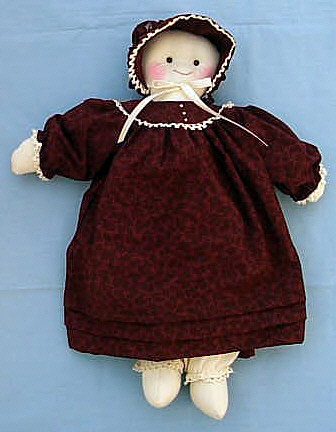 The garments are removable. The female comes with a black apron, black bonnet, and a colored dress. 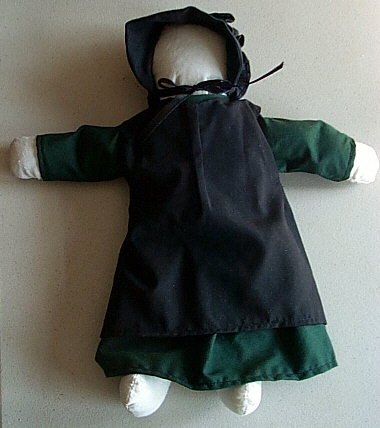 The male comes with a black felt hat, black suspender pants, and a white shirt. 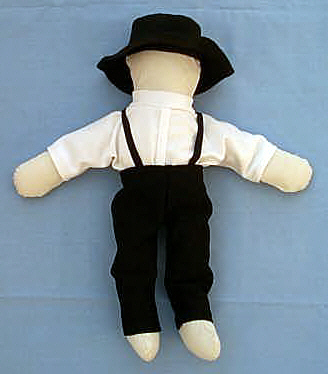 Amish Male with White Shirt, Pants, and Suspenders Doll 12"